Personal Protective Equipment (PPE) is an important line of defense in arc flash safety. Arc flash PPE requirements should feature head-to-toe protection against serious electrical hazards so you’re able to get the job done in the safest, most efficient and professional manner possible. Appropriate arc flash PPE requirements includes fire- and heat-resistant gear and insulated tools to protect your entire body from the dangers of arc flash, including your skin, vision and hearing. 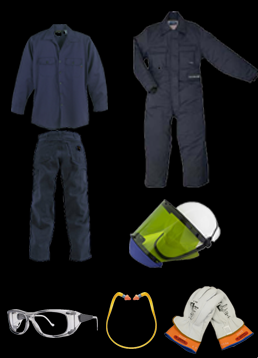 Determining the correct Arc Flash Personal Protective Equipment (PPE) can be very challenging. With our PPE requirements guide below this will make determining the Arc Flash PPE requirements effortless. Personal Protective Equipment is the last line of defense against arc flash hazard injuries! 130.7 Personal and Other Protective Equipment. (A) General. 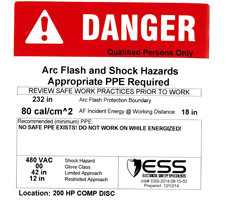 Employees exposed to electrical hazards when the risk associated with the hazard is not adequately reduced by the applicable electrical installation requirements shall be provided with, and shall use, protective equipment that is designed and constructed for the specific part of the body to be protected and for the work to be performed. The Arc Flash Boundary- PPE is minimized the risk to employees from safety and health hazards in the work place related to the discharge of electrical energy when working within the arc flash boundaries. The protection shall be provided by the correct selection of PPE when the employees are within the Arc Flash Boundaries. 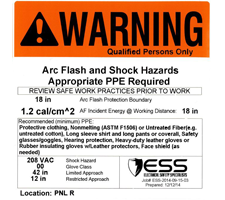 All PPE must now be classified as Arc Rated (AR). Flame Resistant is no longer acceptable. Based on 2018 NFPA 70E table H.3(b) Guidance on selection of Arc-Rated Clothing and Other PPE requirements for Use When Incident Energy Exposure IS Determined. Personal Protective Equipment (PPE) is an important line of defense in arc flash safety. Arc flash PPE should feature head-to-toe protection against this serious hazard so you’re able to get the job done in the safest, most efficient and professional manner possible. Appropriate arc flash PPE includes fire- and heat-resistant gear and insulated tools to protect your entire body from the dangers of arc flash, including your skin, vision and hearing. 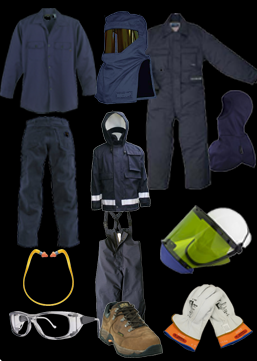 AN: As needed [in addition to the protective clothing and PPE required by 130.5(C)(1). SR: Selection of one in group is required by 130.5(C)(1). *Note: (1) Face shields with a wrap-around guarding to protect the face, chin, forehead, ears, and neck area are required by 130.7(C)(10)(c). For full head and neck protection, use a balaclava or an arc flash hood. 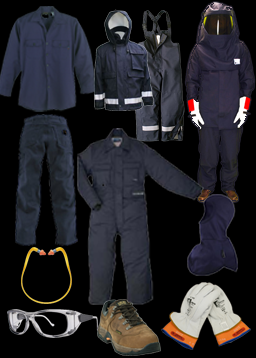 *Note: (3) Arc ratings can be for a single layer, such as an arc-rated shirt and pants or a coverall, or for an arc flash suit or a multi-layer system consisting of a combination of arc-rated shirt and pants, coverall, and arc flash suit. *Note: (4) Rubber insulating gloves with leather protectors provide arc flash protection in addition to shock protection. Higher class rubber insulating gloves with leather protectors, due to their increased material thickness, provide increased arc flash protection. NO SAFE PPE EXISTS! DO NOT WORK ON WHILE ENERGIZED!